Lomotil is used for treating diarrhea. It may also be used for other conditions as determined by your doctor. Lomotil is an antidiarrheal and anticholinergic combination. It works by decreasing the motion of muscles in the intestines and prolonging the time it takes to move the contents through the body. This may not be a complete list of all interactions that may occur. Ask your health care provider if Lomotil may interact with other medicines that you take. Check with your health care provider before you start, stop, or change the dose of any medicine. Use Lomotil as directed by your doctor. Check the label on the medicine for exact dosing instructions. Take Lomotil by mouth with or without food. If you miss a dose of Lomotil and you are taking it regularly, take it as soon as possible. If several hours have passed or if it is nearing time for the next dose, do not double the dose to catch up, unless advised by your health care provider. Do not take 2 doses at once. Ask your health care provider any questions you may have about how to use Lomotil. Lomotil may cause drowsiness, dizziness, or blurred vision. These effects may be worse if you take it with alcohol or certain medicines. Use Lomotil with caution. Do not drive or perform other possibly unsafe tasks until you know how you react to it. 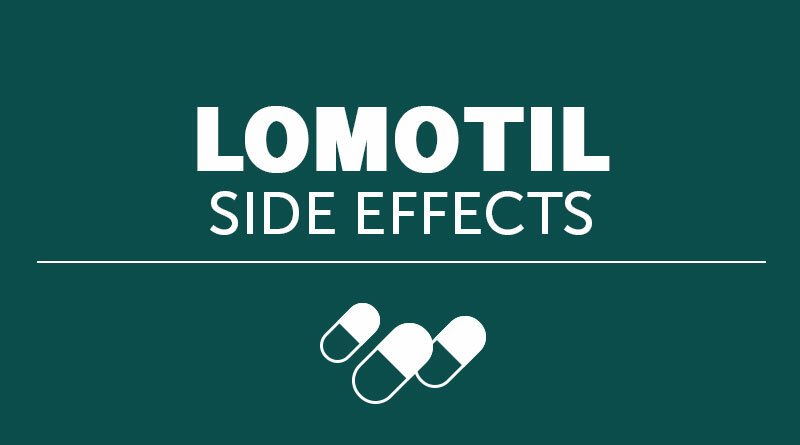 Do not drink alcohol or use medicines that may cause drowsiness (eg, sleep aids, muscle relaxers) while you are using Lomotil; it may add to their effects. Ask your pharmacist if you have questions about which medicines may cause drowsiness. Do NOT take more than the recommended dose or use for longer than prescribed without checking with your doctor. This could increase the risk of serious side effects. If your symptoms do not get better within 10 days (2 days for children) or if they get worse, check with your doctor. Report any symptoms of fluid or electrolyte loss to your doctor: dry mouth; thirst; weakness; lethargy; drowsiness; restlessness; muscle pain or cramps; muscle weakness; low blood pressure; infrequent urination; rapid heartbeat; stomach disorders such as nausea and vomiting. Lomotil may make your eyes more sensitive to sunlight. It may help to wear sunglasses. Tell your doctor or dentist that you take Lomotil before you receive any medical or dental care, emergency care, or surgery. Use Lomotil with caution in the ELDERLY; they may be more sensitive to its effects, especially excitement, agitation, or drowsiness. Lomotil should not be used in CHILDREN younger than 13 years old; safety and effectiveness in these children have not been confirmed. Caution is advised when using Lomotil in CHILDREN 13 years of age and older; they may be more sensitive to its effects. PREGNANCY and BREAST-FEEDING: If you become pregnant, contact your doctor. You will need to discuss the benefits and risks of using Lomotil while you are pregnant. Lomotil is found in breast milk. If you are or will be breast-feeding while you use Lomotil, check with your doctor. Discuss any possible risks to your baby. When used for longer than a few weeks or at high doses, some people develop a need to continue taking Lomotil. This is known as DEPENDENCE or addiction. Do NOT take more than the recommended dose or use for longer than prescribed without checking with your doctor. Blurred vision; constipation; decreased sweating; difficulty sleeping; dizziness; drowsiness; dry mouth, nose, or skin; headache; loss of appetite; loss of taste; nausea; nervousness. Severe allergic reactions (rash; hives; itching; difficulty breathing; tightness in the chest; swelling of the mouth, face, lips, or tongue); abdominal bloating or swelling; agitation; changes in heartbeat; confusion; continued or severe diarrhea; delirium; difficulty focusing your eyes; difficulty urinating; exaggerated sense of well-being; excitement; fast/irregular heartbeat; fever; hallucinations; numbness of the hands or feet; severely enlarged pupils; severe or prolonged restlessness; speech disturbance; unusual weakness; vomiting. Contact 1-800-222-1222 (the American Association of Poison Control Centers), your local poison control center, or emergency room immediately. Symptoms may include coma; difficulty breathing; dilated or constricted pupils; disorientation; fever; flushing; hallucinations; hyperactivity; muscle weakness; restlessness; seizures; severe dizziness; unusual eye movements; urinary retention; vomiting. Store Lomotil at room temperature, between 68 and 77 degrees F (20 and 25 degrees C). Brief storage at temperatures between 59 and 86 degrees F (15 and 30 degrees C) is permitted. Store away from heat, moisture, and light. Do not store in the bathroom. Keep Lomotil out of the reach of children and away from pets. If you have any questions about Lomotil, please talk with your doctor, pharmacist, or other health care provider. Lomotil is to be used only by the patient for whom it is prescribed. Do not share it with other people. This information should not be used to decide whether or not to take Lomotil or any other medicine. Only your health care provider has the knowledge and training to decide which medicines are right for you. This information does not endorse any medicine as safe, effective, or approved for treating any patient or health condition. This is only a brief summary of general information about Lomotil. It does NOT include all information about the possible uses, directions, warnings, precautions, interactions, adverse effects, or risks that may apply to Lomotil. This information is not specific medical advice and does not replace information you receive from your health care provider. You must talk with your healthcare provider for complete information about the risks and benefits of using Lomotil.